Fira is the capital of Santorini. It is located on the west side of the island, on the rocks of the caldera just opposite the volcano. Modern Fira is the cultural and commercial center of Santorini. Although geared around the tourist industry, perhaps more so than other areas on the island, there is much about Fira worth taking a look at. Apart from museums, galleries, and cultural events, Fira is the commercial center of the island, while offering inexhaustible choices of food, nightlife, and entertainment. 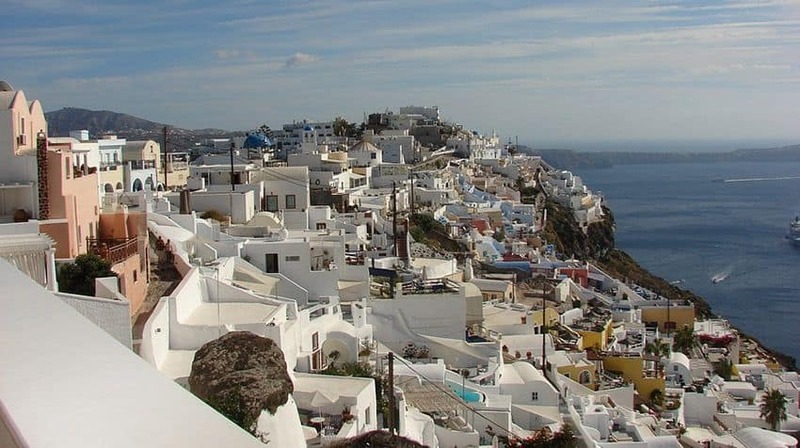 The picturesque streets of Fira during the summer period are teaming by the visitors of Santorini. 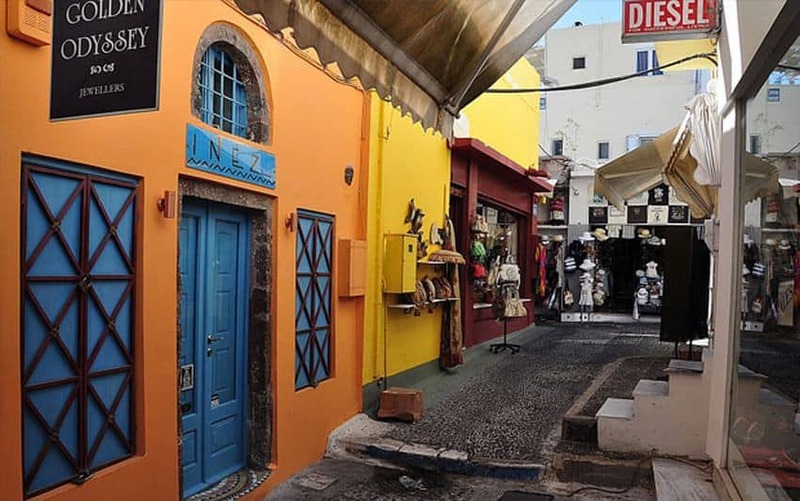 Shopping in Fira offers countless choices, there are many art galleries, as well as souvenir shops and jewelers. Fira is also the center of nightlife on the island, with many bars and clubs, for endless fun with a view of the volcano. And of course, there is a huge selection of restaurants and taverns where you can enjoy your dinner accompanied by wonderful local wine. 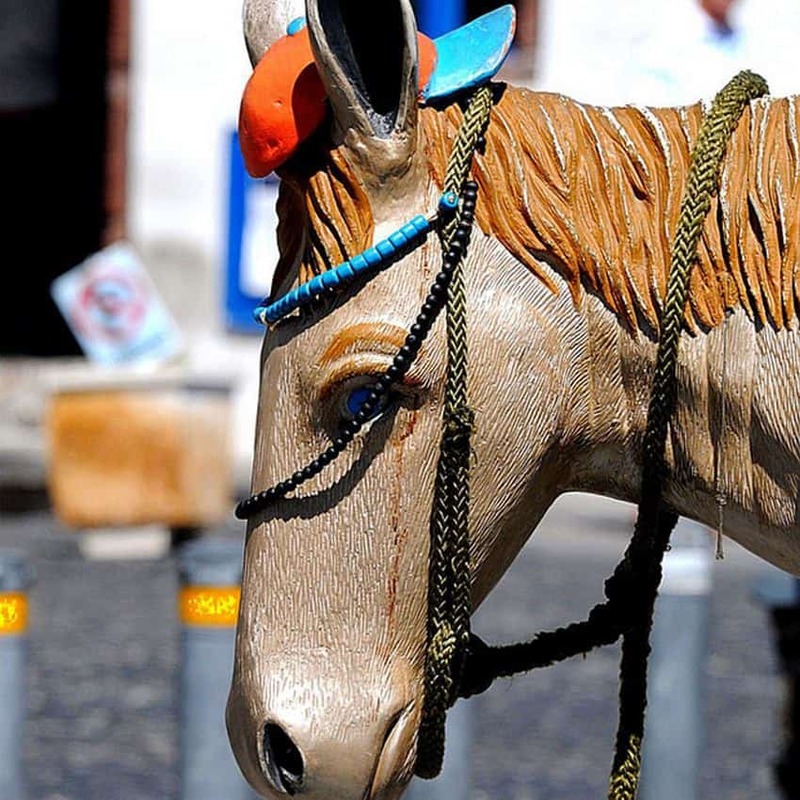 There are so many things to see and explore in the capital of Santorini. The walks on the caldera are the ultimate experience while the volcano is visible from every point of the caldera and the view is magnificent, with even more spectacular sunsets that at that time it is like the whole island stops moving by admiring the unique colors. Among the great sights, it is worth visiting the Cultural Center of Megaro Gyzi in Fira to see the variety of collections it has, as well as attend some of the various cultural events it organizes (concerts, theatrical performances, etc.). The museum is housed in a 17th-century mansion and features old photographs, paintings, and manuscripts. It is open daily except for Sunday from 10:00 to 16:00 between May and October. Also, two of Santorini’s most interesting museums are located in Fira, the Archaeological Museum of Santorini, which has exhibits mainly from ancient Thira as well as artifacts from all the various historical periods of the island from the 5th century to the Roman times. A particularly interesting point is that it is allowed to photograph the exhibits. The Archaeological Museum of Santorini in Fira is open from 8:30 to 15:00 all days of the week except Mondays. The entrance fee is 3 euros. If you only have to visit one museum in Fira, then choose the Museum of Prehistoric Thera, which has a number of historical objects from different places of the island and from different periods of history as well as most of the material found during the excavations in Akrotiri. It is open from 8:30 to 15:00 and is closed on Mondays. Also in the village of Kontochori, very close to Fira, is the Folklore Museum of Emmanuel A. Lignos, which is located in a cave and hosts exhibits depicting the way of life in Santorini. It is open in the summer months from 10:00 to 14:00. In Fira, the panoramic view of the caldera allows you to enjoy the island, from the southern tip of Akrotiri to the northern Cape of Agios Nikolaos, to see the island of Nea Kameni and the island of Thirassia at the center of the caldera. 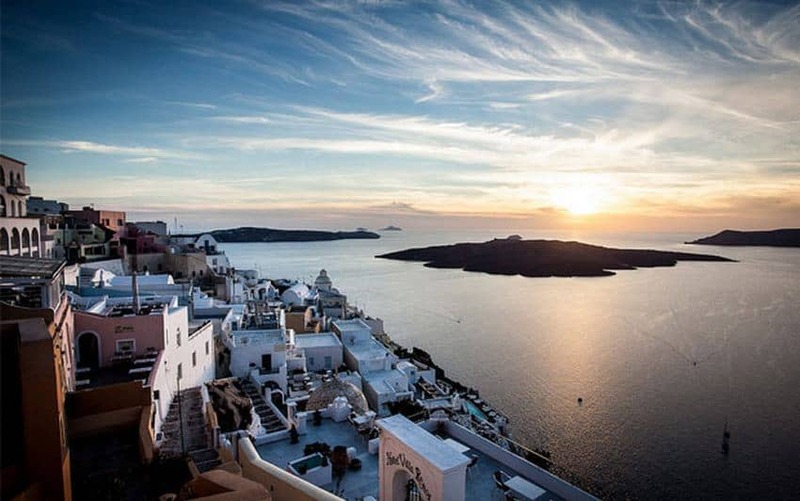 The history of Fira as a settlement began in the second half of the 18th century when the Venetians and the Catholic community left Skaros Castle in Imerovigli (the capital of Santorini at that time) after a prolonged period of earthquakes. Do not hesitate to walk everywhere! Fira is a place to walk as there is no way to get lost. Always have enough water with you like the climate, especially in the summer months, is hot and dry. You can wander through the cobbled streets that are full of shopping, while walking will allow you to experience the beauty of Fira and the amazing view of the Aegean Sea. Fira does not have beaches for swimming and you need to use the Fira local transport, take a taxi or rent a car in Fira. Visit the art gallery “Mati” in Fira where before you even get in, you will get your attention from the entrance.